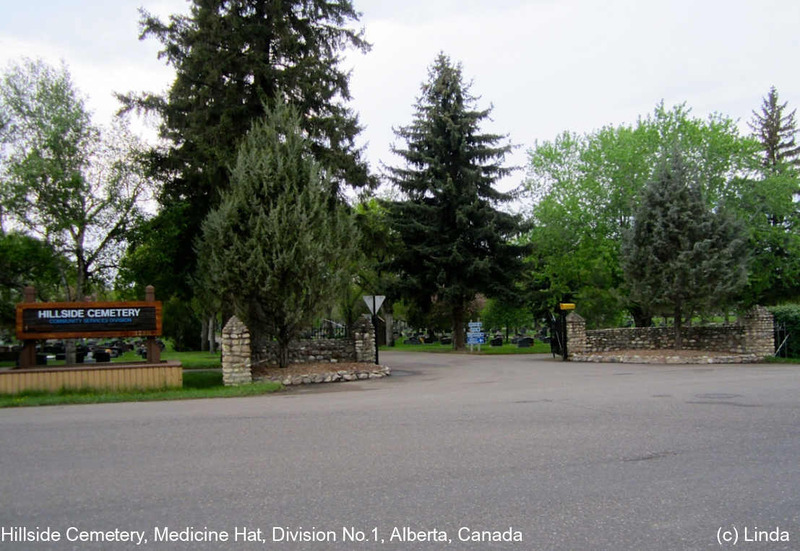 Hillside Cemetery, Medicine Hat, Medicine Hat Census Division, Alberta, Canada, Plot: Section F, block 247J, 13N. Hillside Cemetery, Medicine Hat, Medicine Hat Census Division, Alberta, Canada, Plot: Section F, block 247J, 13S. Hillside Cemetery, Medicine Hat, Medicine Hat Census Division, Alberta, Canada, Plot: Section D, block 27C, 7N. Hillside Cemetery, Medicine Hat, Medicine Hat Census Division, Alberta, Canada, Plot: Section C, block 130E, 15S. Hillside Cemetery, Medicine Hat, Medicine Hat Census Division, Alberta, Canada, Plot: Section B, block 119I, 2-2. Hillside Cemetery, Medicine Hat, Medicine Hat Census Division, Alberta, Canada, Plot: Section C, block 130E, 15N. Hillside Cemetery, Medicine Hat, Medicine Hat Census Division, Alberta, Canada, Plot: Section B, block 119I, 2-1.